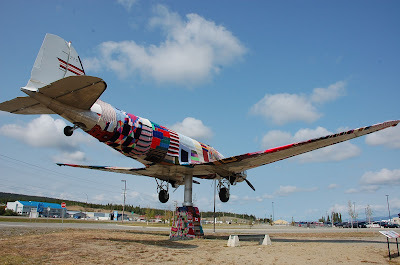 On Saturday, months of planning came together when members of Yarn Bomb Yukon “yarn bombed” the 70-year-old DC-3 airplane that rests outside the Yukon Transportation museum. 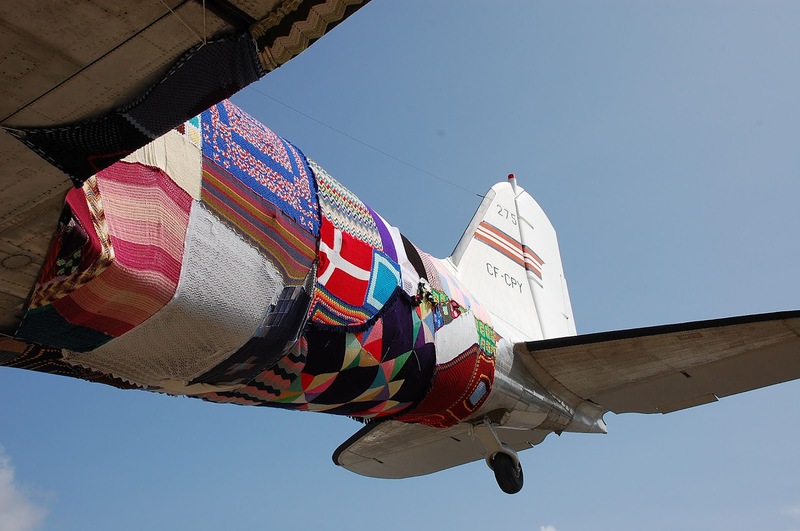 The form fitting tea cosy that's now hugging the aircraft spans close to 2,500 square feet and was draped over the plane over the course of five hours. 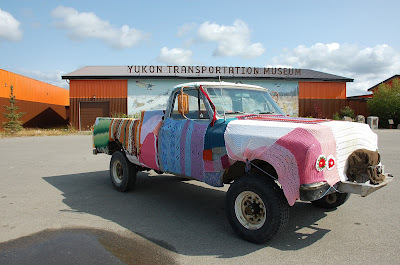 I guess they had some afghans left over as they also yarn bombed this truck that was parked in front of the museum. 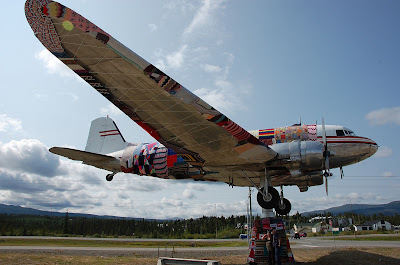 It will apparently be left on display like this for 7 days before the plane is disrobed. Yarn bombing is a kind of guerilla street art in the same vein as graffiti — an international art and activism movement. Artists take their knitting and cover pieces of public property in the name of art — though unlike graffiti, it is fairly easily removed. In fact, the pieces of the tea cosy covering the DC-3 are to be cleaned and given to the needy as blankets when pried off the aircraft. awwww That plane and truck look so cozy!